Unique trial proof, out of the total edition of 30 trial proofs. Each one in the series is unique color variant and this work is numbered TP11/30 in pencil to the left of the signature in the lower left of the sheet. 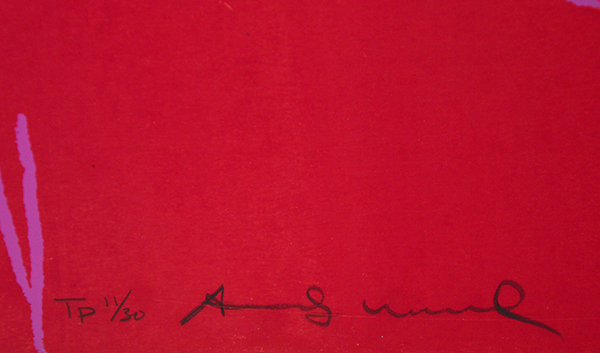 This work is hand-signed by Andy Warhol (Pennsylvania, 1928 - New York, 1987) in pencil in the lower left. 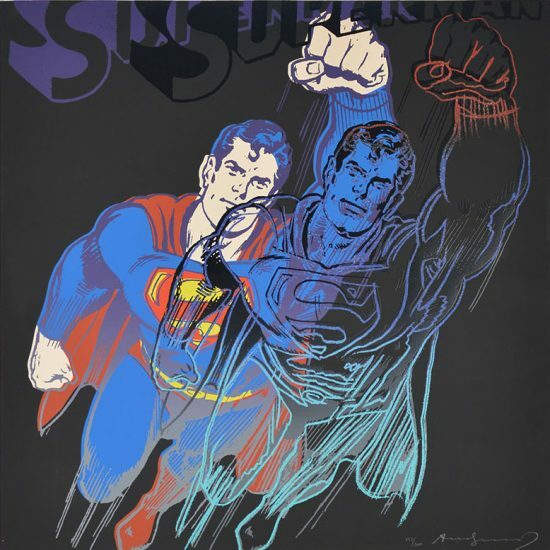 This screenprint is in good condition, with bright and vivid colors with diamond dust throughout. 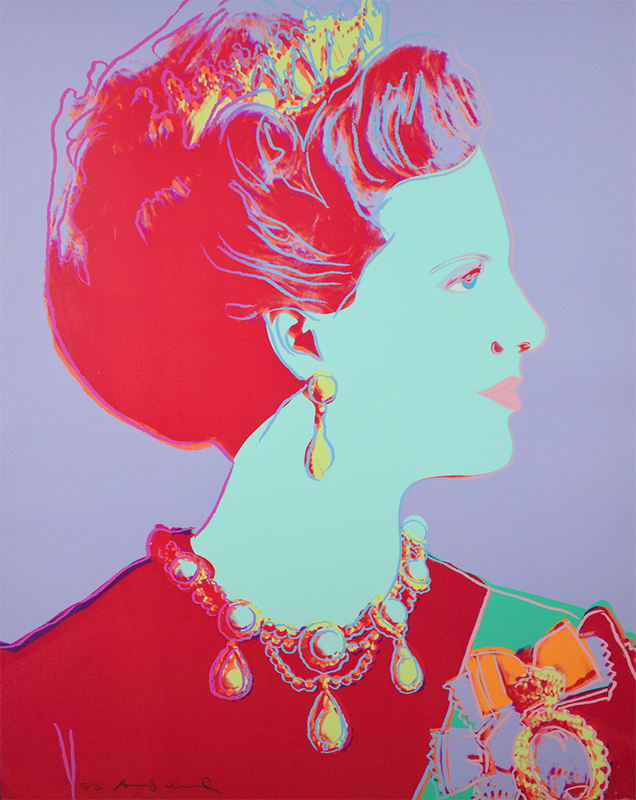 Andy Warhol Reigning Queens Series, Queen Margrethe II of Denmark (Violet), 1985; Warhol addresses his fascination with the extremes of social hierarchy in this series of Reigning Queens, specifically with the iconography of Queen Margrethe II. This is the perfect example of Warhol’s ability to transform the entire medium of traditional portraiture and translate it to contemporary, political relevance. The scale of her is all-consuming; the size of this work is perhaps paramount to her grandeur and position in society. She is larger-than-life, a Queen with respectable notoriety and a prominent history and social standing among the Danish people. 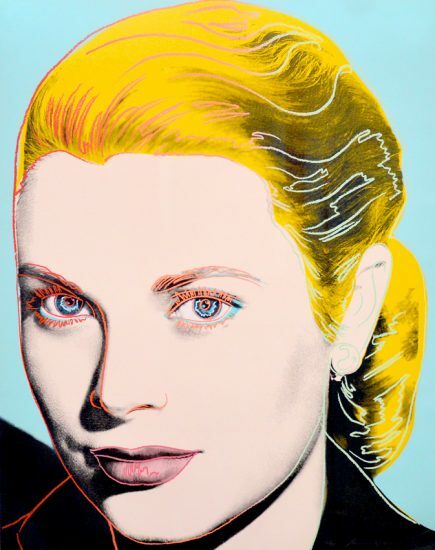 This portrait of Queen Margrethe II also details Warhol’s playfulness with line and color while also exhibiting his view on conventional portraiture. 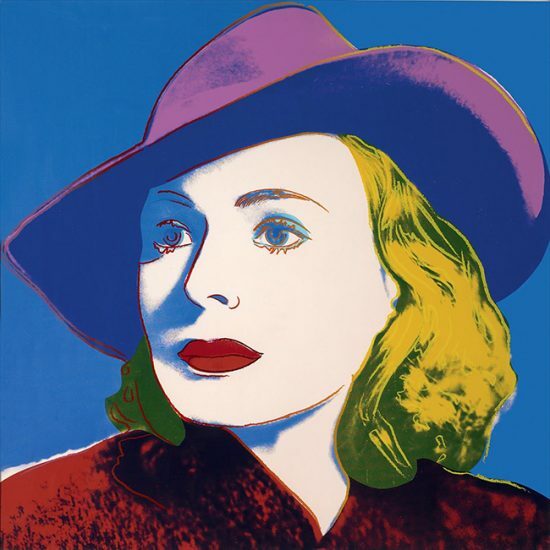 The deep shades of violet and blue create a captivating image of the Queen, perhaps transforming her from the view of the bourgeois upper class to a more palpable, everyday poster image we can all relate to. 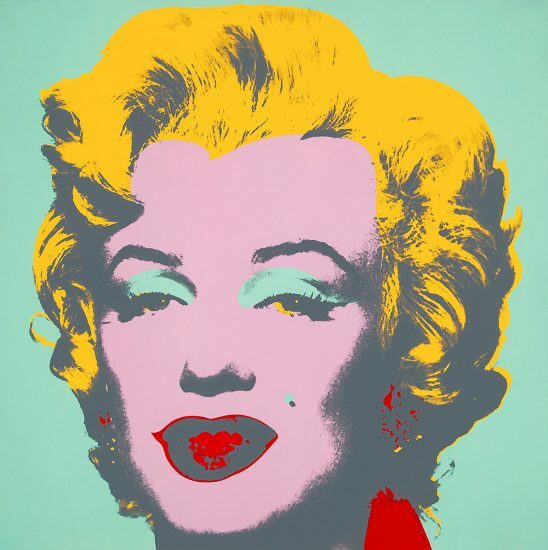 She now falls into the category of popular kitsch culture, while her elegant features continue to be accented by the drawn line of Warhol’s hand. 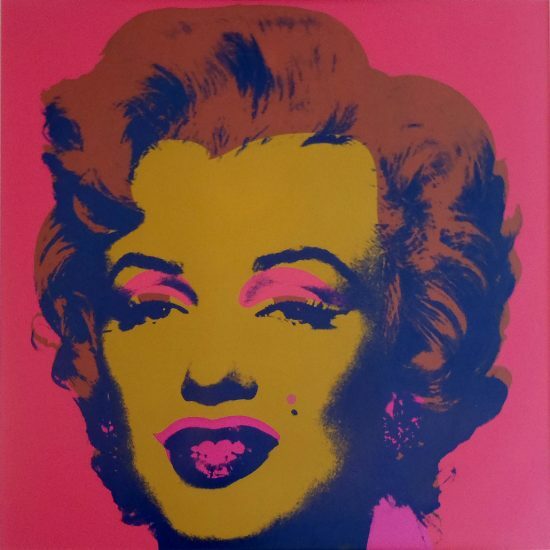 “Warhol intended his portraits to be seen – as vanitas images, history paintings, or simply glamour poses – he did more than any other artist to revitalize the practice of portraiture, bringing renewed attention to it in the avant-garde art world. He reflected the desires and dreams of a new decade and expanded his cast to include the latest characters from the world of sports, television, and politics and also dramatically escalated his portrait commissions” (Feldman 3rd ed. pg. 22-3). 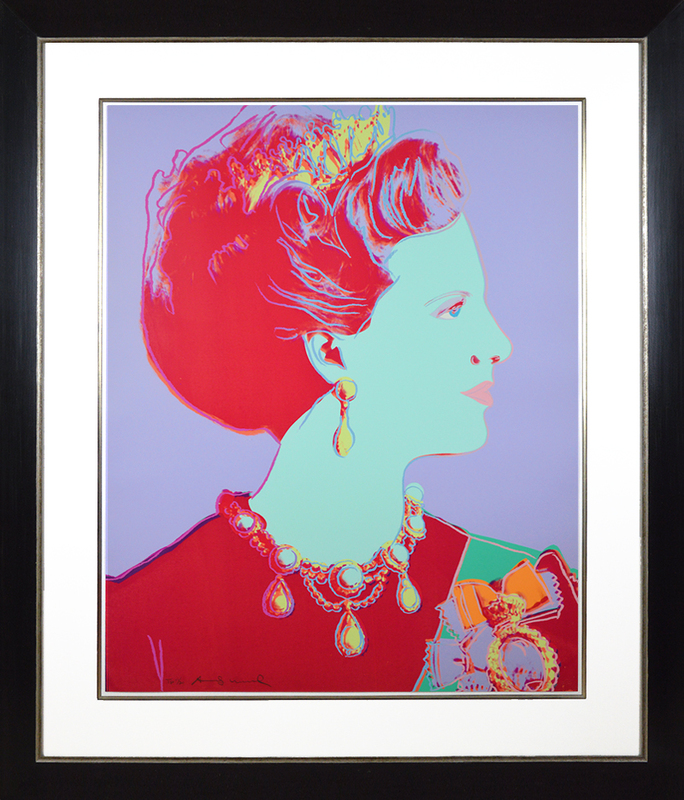 Andy Warhol Reigning Queens Series, Queen Margrethe II of Denmark (Violet), 1985, was originally created in 1985 as part of a portfolio of 16 screenprints on Lenox Museum Board. 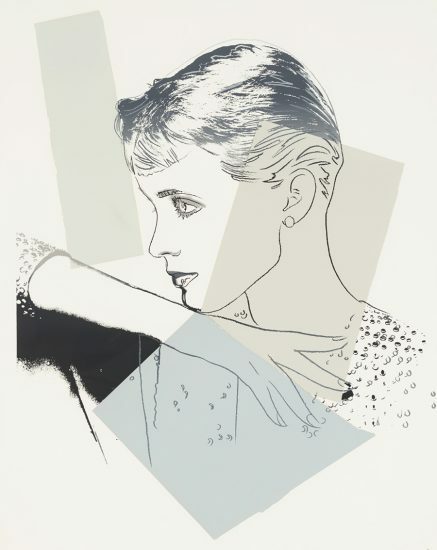 There is a rare Royal Edition series which features diamond dust along the outline of the entire print, and this particular work is from the Reigning Queens edition of 1985 in which diamond dust was excluded from the screenprint during production. Also featured in this series are Queen Beatrix, Queen Elizabeth II, and Queen Ntombi Twala. 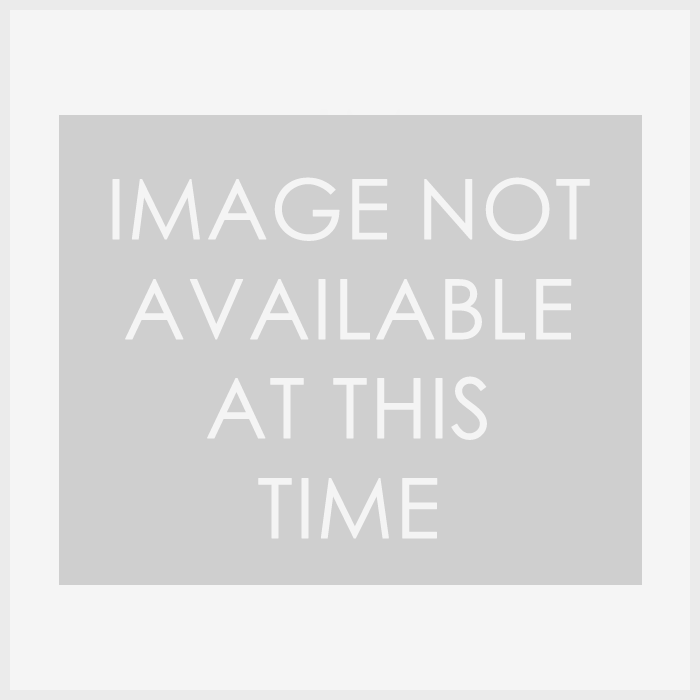 This series was printed by Rupert Jasen Smith, New York and published by George C. P. Mulder, Amsterdam. 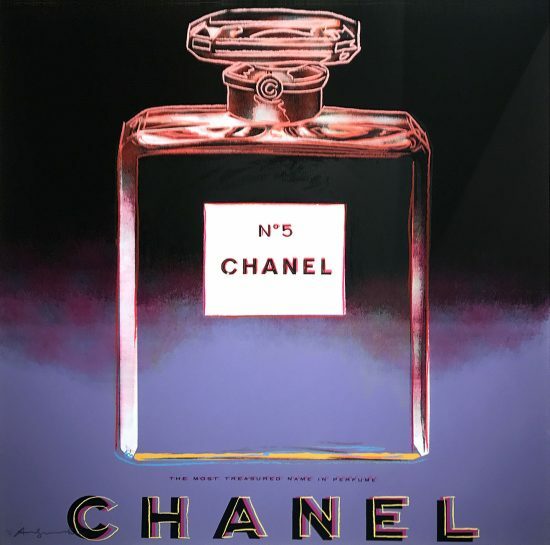 This Andy Warhol Reigning Queens Series, Queen Margrethe II of Denmark (Violet), 1985 screenprint, is fully documented and referenced in the below catalogue raisonnés and texts (copies will be enclosed as added documentation with the invoices that will accompany the final sale of the work). 1. Feldman, Frayda and Jörg Schellmann. 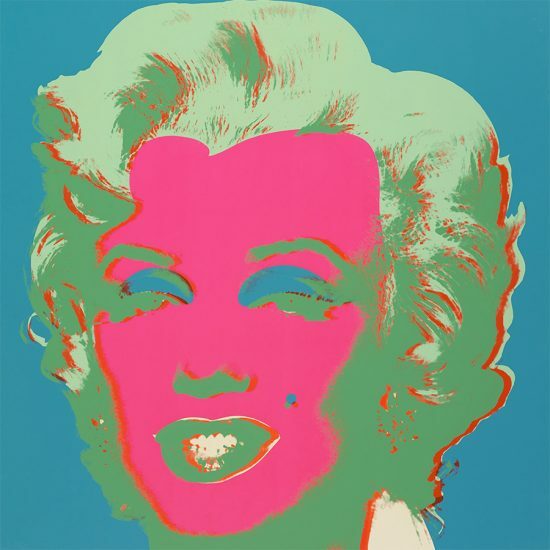 Andy Warhol Prints, A Catalogue Raisonné, 1989. Three other color variants are listed and illustrated as catalogue raisonné nos. IIB 342-345.